Joseph Norton Academy offers a variety of training packages to schools across the Yorkshire and Humber region. Please see below for details on Team-Teach, Restorative Practice, The Amazing Brain and Parent/Carer Tours. If you would like to book any of our training or view our wider CPD catalogue, please contact Ruth Radcliffe via our Contact Page. Joseph Norton’s Team-Teach trainers are able to offer a 6 hour ‘Foundation’ and a 12 hour ‘Basic’ course for professionals across Kirklees. Courses are run on a regular basis but can also be booked for cohorts of up to 12 or 24 participants. Team-Teach provides schools with a holistic approach to behaviour management that focuses on communication and de-escalation with an emphasis on post incident reflection and repair. It has evolved from a multi-disciplinary background and is suitable for children and young people of all ages with a variety of needs. 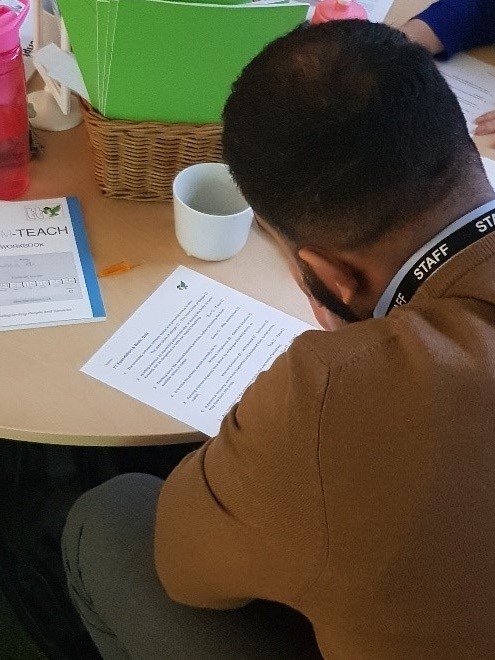 Working with Darryl (Advanced Team-Teach Tutor) and Callum (Intermediate Team-Teach Tutor), trainees will gain confidence and competence, in responding to behaviours that challenge, whilst promoting and protecting positive relationships. 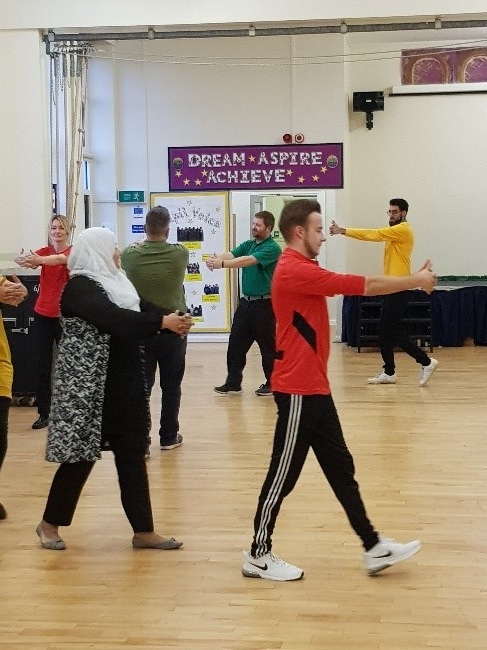 As well as delivering Team-Teach training, Joseph Norton can offer support with other aspects of behaviour management including social pedagogy and restorative practice. Courses are organised on a bespoke basis in response to the needs o individual schools and groups. For more information please contact Ruth Radcliffe via our Contact Page. We are proud to offer training on The Amazing Brain through Positive Regard Teaching School Alliance. The Amazing Brain is suitable for professionals working with children with social, emotional and mental health difficulties who want to increase their understanding and use of trauma informed practice, polyvagal theory and nurture. If you would like to visit our school to find out more about the way we work please contact Claire Gray to book onto one of our tours. Tours take place at the end of the school day. Every year, Joseph Norton opens its doors to the public as part of the national initiative 'Open Farm Sunday'. It is a fantastic opportunity for members of the community to visit the school and discover first hand what it means to work on our farm, take care of the animals and produce the food we use in our school dinners. If you would like to attend this event, please contact to the school who will inform you when registration opens. Please note that access to the event and the farm is free of charge for those who have registered. There may be a charge for additional activities and refreshments. For more information, please visit the official website and search for our school by location by clicking here.